For years Stocked has been focused on providing the neighbordhood and its families with wholesome and health-conscious cusisine – whether that’s in our cafe or in your home. With our catering services, we continue to provide wherever that may be. Food is what we do! We offer a variety of lunch and breakfast options such as large sandwich platters, muffins for breakfast, trays of cookies, and giant bowls of our Kale salad. Let us know how we can help and we can make it happen! 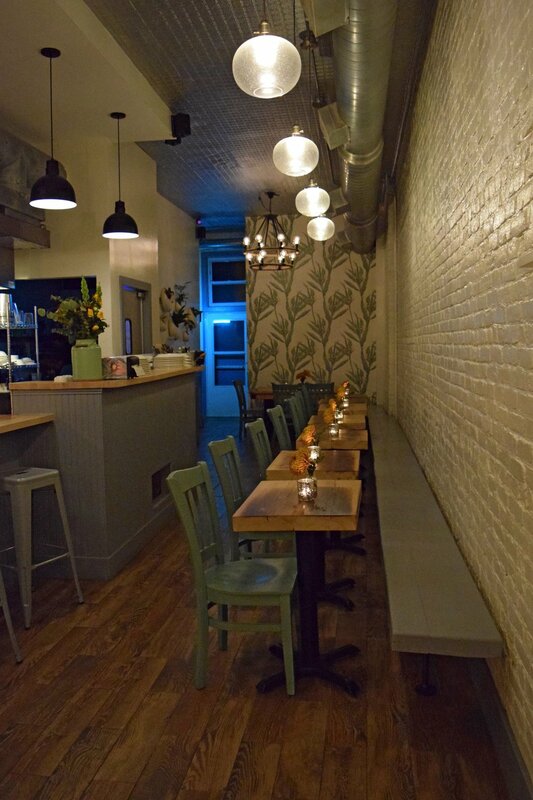 We invite you to use our space for private parties, events, and/or meetings. We offer full catering services with both for and wine menus to choose from. Use our “Catering Request Form” below to discuss how we can make your evening as special as possible. Our sandwiches travel great! We offer the Grilled Chicken, Turkey, Roast Beef, Roasted Eggplant, Cauliflower, and Tuna. All our trays can be edited to your preference. Salads are a great addition to our sandwich platters and create a balanced meal. Choose from our Kale or Crispy Artichoke Salad or ask about other options. We have a mixture of pastries and sweets you can order for breakfast or dessert! Those include trays of housemade cookies, baskets of muffins, and scones. Tell us about your event – use the form below to submit a request. After your request is submitted, we will respond to you to confirm your catering needs as quickly as possible. We require at least 24 hours’ notice for catering orders, though certain orders can be accommodated on shorter notice. Orders can be delivered any time between 8 AM and 7 PM. Please Note: All listed menu items and prices are subject to change. In order to complete your catering request, we ask for a 50% deposit on all events and parties. Should you need to cancel your order, we can return your deposit in full if a 24 hour’s notice is given. Please tell us what type of catering service you need. Thank you for your request. One of the Stocked team members will get back to you as quickly as possible to complete your order. - Peace, Love, & Food!